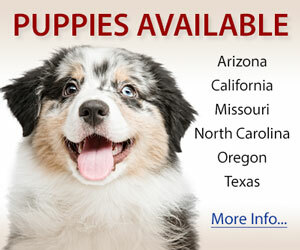 We are a small hobby breeder of Miniature Australian Shepherds striving for personality and conformation. We strive to breed for conformation and temperament. Our Aussies are raised in our home with us and are surrounded by people, sounds, and other dogs. We are dedicated to creating good companions. Our dogs are involved with obedience, therapy work, and have their CGC. 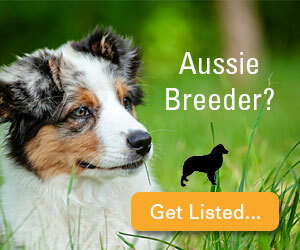 We love visitors and encourage anyone thinking about owning a Mini Aussie, to come out and talk to us. Our dogs are MASCA/ASDR registered. We are a small family farm that firmly believes in Quality; not quantity! Our pups are whelped out right beside our bed and raised in our home; never a kennel. They are well socialized and UTD on shots and worming. We breed for true Aussie type in a smaller package with the BEST of dispositions to become a forever fur memeber of your family! The greatest joy of our lives is to present you with the happiest, healthiest Aussie pup possible! And we do just that! Please take a look at our website... we have two to three litters per year-MAX!